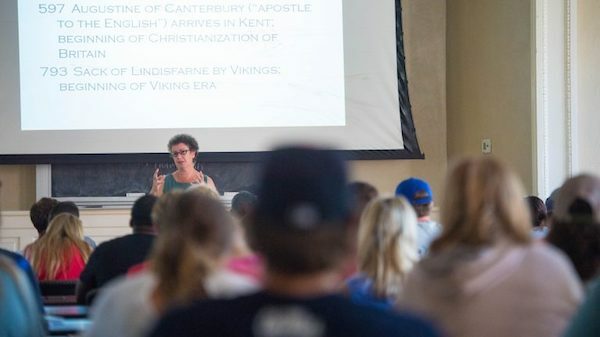 Karen Raber, a University of Mississippi English professor who specializes in Renaissance literature with an emphasis on ecostudies, animal studies and posthumanist theory, has been officially announced as executive director of the Shakespeare Association of America, a national organization dedicated to the work of William Shakespeare. Raber replaces Orlin, an English professor at Georgetown University, and assumes the new position June 1, though she will be involved in planning for next year’s conference and board meetings during this year’s meeting in March. The role is a part-time appointment, meaning Raber will continue to work and teach at UM. Raber’s new role will require a commitment from the university, in both funding and space, but Raber said UM Department of English Chair Ivo Kamps and College of Liberal Arts Dean Lee M. Cohen worked to put the necessary resources into Raber’s position.